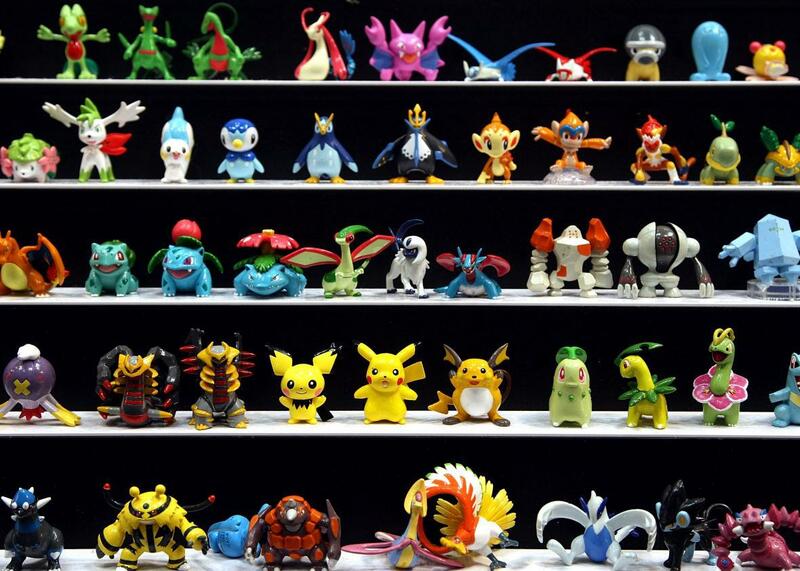 Pokémon figures on display during the 2009 International Tokyo Toy Show on July 16, 2009 in Tokyo, Japan. In just a few days, Pokémon Go has become a smash hit. Now, it’s impacting all aspects of players’ lives—including where they eat. Social media reports reveal that Pokémon Go players are making their restaurant choices based on the availability of Pokémon in the area. And, restaurants are using that fact to attract customers. The game, which launched last week, requires users to go to specific sites to “catch” Pokémon. These sites can be anywhere from hospitals, to abandoned hot dogs stands, to a vast array of restaurants. Her: how about this restaurant? Me: (checks Pokemon Go) how about the one like half a block from here? Some customers are reportedly even complaining when a restaurant doesn’t have Pokémon—or, the right type of Pokémon. Had an interesting chat at a bar/restaurant sitting between two Pokestops how their business increased by 10% since Pokemon GO came out. At this point, it seems like a wise business move for restaurants to begin to cash in on the success of Pokémon Go, as the game seems to be driving customer visits and sales. Some players are advising restaurants to take matters into their own hands, using lures (purchasable items that attract Pokémon) to lure in customers. At least one restaurant has already done just that. Tanghui, a high-end Chinese restaurant in Sydney, Australia, announced on Monday that the restaurant would be activating a Lure Model daily at lunch and dinner times, starting on Tuesday. “Be alert with the time so that you will not miss out the Pokémon that you are searching for!” the restaurant wrote in a Facebook post announcing the plan. A number of restaurants with Pokestops or Pokémon gyms nearby have taken to social media to share the news with potential customers. Others are offering discounts to players, such as CitySen Lounge in Grand Rapids, Michigan. Major restaurant chains, such as Applebee’s, have taken to social media to retweet customers catching Pokémon on the premises. Pokémon Go may be a new game, but conveniently located restaurants—and those that are willing to lure in customers with lures—are already reaping the rewards of learning how to play. At this point, it seems inevitable that more restaurants will jump on the bandwagon, as customer demands for Pokémon grows.